Harajuku twins in pink and blue matching outfits with colorful accessories. 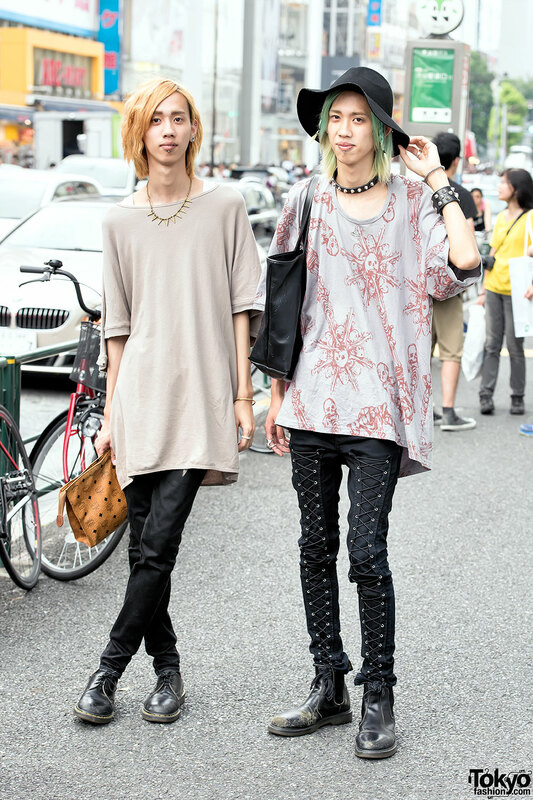 Harajuku guys wearing skinny jeans and Dr. Martens along with items from Undercover, Uniqlo, Cheap Monday, Vivienne Westwood, and MCM. Twin Japanese models with blonde hair wearing sporty outfits with denim shorts, backpacks and platform sneakers. Harajuku twins in shirt dress, denim shirt, band goods tote, sneakers and watch vs. turtleneck with denim overalls, tartan scarf, cap, backpack and oxfords.